Now offering a Lake Powell wakesurf boat! We are excited to add a 2018 22' Chaparral Vortex to our rental fleet! It features a tower, ballast tanks, bimini, and an awesome wetsound system! This boat is perfect for wakeboarding and wakesurfing. Boards can be rented for an additional fee. Looking for Lake Powell boat rentals? We have ski boats and deck boats. Click here to view them all. If you are looking for Lake Powell jet ski rentals, our Sea Doos are just what the doctor ordered. Click for more info. 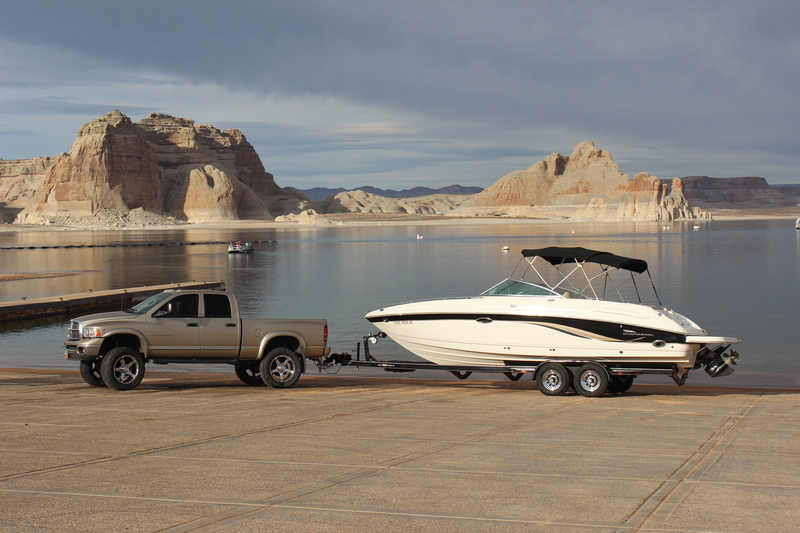 We have the toys you need to have a great time on Lake Powell. Check out what we carry and add it to your rental. Welcome to the 2019 Lake Powell boating season! Our goal is to provide both a superior customer experience and tremendous value for our customers. We offer a variety of ski boats, deck boats, and surf boats that we keep in great condition. We also have jet ski rentals. All of our boats have working Bluetooth stereos and bimini shades. All of the required safety equipment (including life jackets) is included with all of our rentals. We also have water toys and tow vehicles available for rent. We will be offering launch and retrieve services as well on a limited basis. We have over ten years of experience in the boat rental industry and are passionate about exceeding your expectations. We are family owned, grew up at Lake Powell, and we love it. We know you will too and we will ensure you have the best boat to fit your needs. Whether you are camping, fishing, wakeboarding, surfing, or just sight-seeing, we will have a boat that will be just what you are looking for. Are you active military or a veteran? Show us your ID and receive 5% off up to $150. We appreciate our customers and welcome your feedback and suggestions. Use our Contact Us page to tell us what we’re doing right or what we can improve on or leave us a review. We are located in Big Water, UT about 10 miles from the Wahweap Marina and our equipment must be towed to the water. Our boats are only for use on Lake Powell and can only be launched from Wahweap, Stateline, or Antelope Point. Our watercraft (including PWC's) CANNOT be launched at Lone Rock and are not for use at Lee's Ferry. We are dedicated to providing you with the best rental for a fair price. We are a small company and plan to stay small so we can dedicate our time and energy to making sure you enjoy your vacation to Lake Powell. For some a vacation to Lake Powell is a once in a lifetime experience and we want to make sure you enjoy every minute of it. We know not everyone has a truck appropriate for towing a large boat so we do offer tow vehicles for $80. We also offer launch and retrieve services. If you have questions please call or email us. Vehicles and launch and retrieve services are limited so make sure you reserve one if needed.